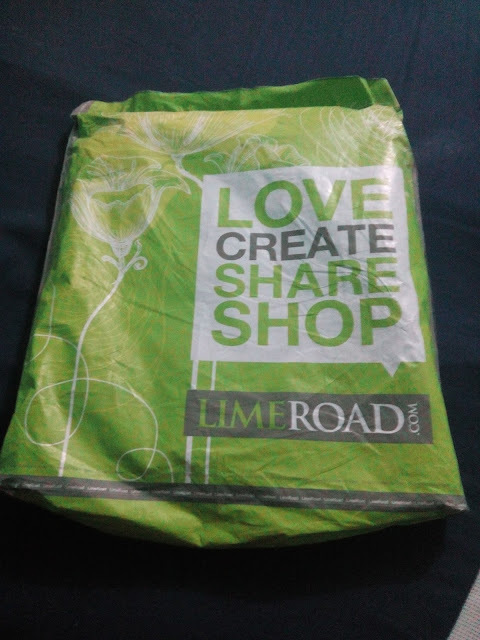 Giveaway dose: keep Calm And keep Shopping With Limeroad App ! As you can see from the below image i have already installed it. And i stumbled upon this lovely Mandarin Collar Printed Georgette Kurta at the Kurtas and Kurtis section. plus i bought a Crown baby Headband also for my baby Eva from hair accessories section. I liked this one at the very first look, and luckily my size was also available with them so i placed my order at that time only. 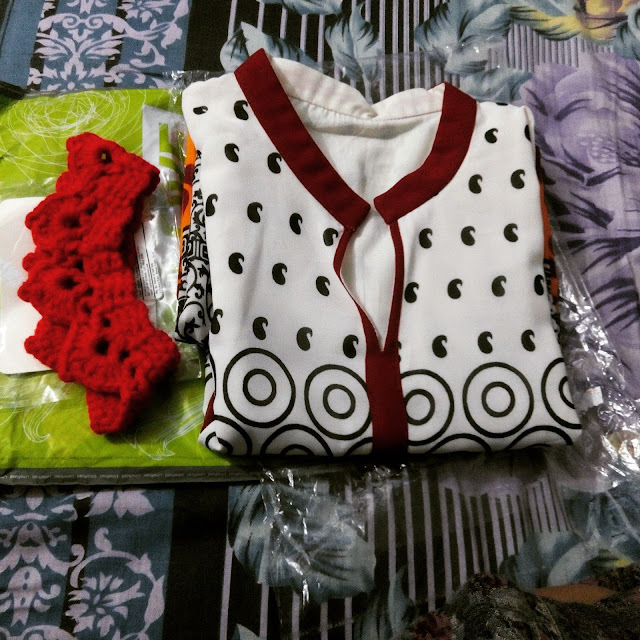 Placing order with them was very very easy, it was a hassle free order. And my order was shipped the very next day, received it in 4 days. P.s More details of this outfit coming up in the next post, keep looking. 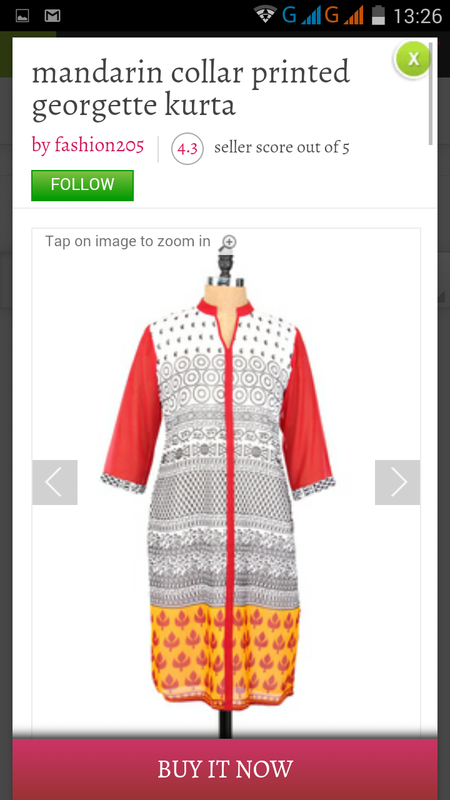 Simple and beautiful Ladies kurti . 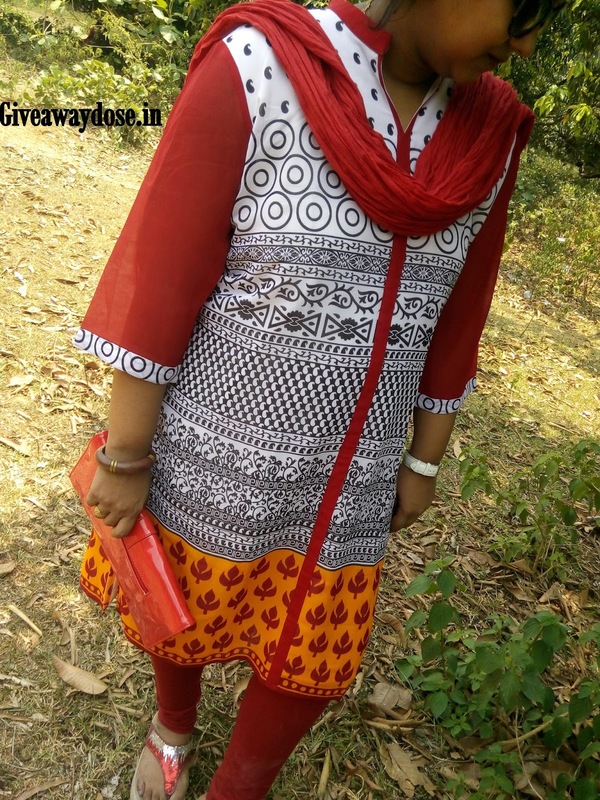 I love to wear such types of kurtis as office wear which give me comfort and stylish look. Thank you for sharing with us.